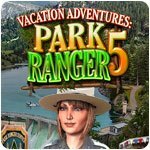 Vacation Adventures: Park Ranger 5 Game - Download and Play Free Version! Spend a sensational summer vacation helping Rangers run Pinecreek Hills National Park. It's Centennial year and the Park is bigger and better than ever. Fly the Floatplane back from HQ, see the NEW Centennial Miniature Railroad, Award winning Bridge, cosy Craft Cafe, and Eagle pass Chairlift. Explore stunning Waterfalls, Enchanted Caves and other gorgeous outdoor locations. Enjoy beautiful scenery, have barbecues, even rescue an orphan bear cub. See the spectacular Blue Angels airplane display and parachutists dropping onto Ranger Field. 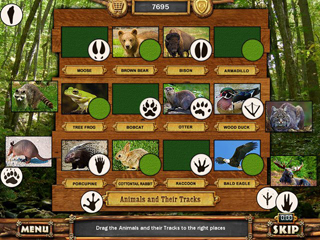 Spot 100's of Animals, Birds, Fish and other Wildlife. 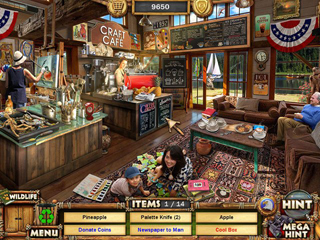 Protect the environment and get Souvenirs and Awards along the way.